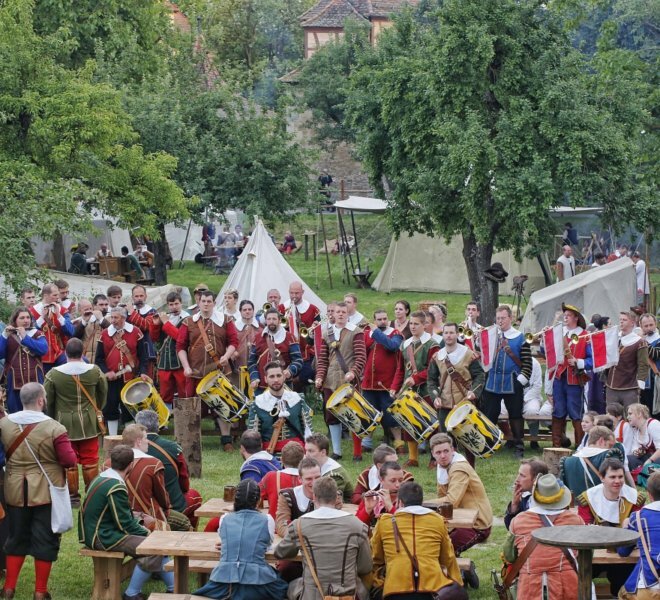 The historical festival "Master Draught"
Where? 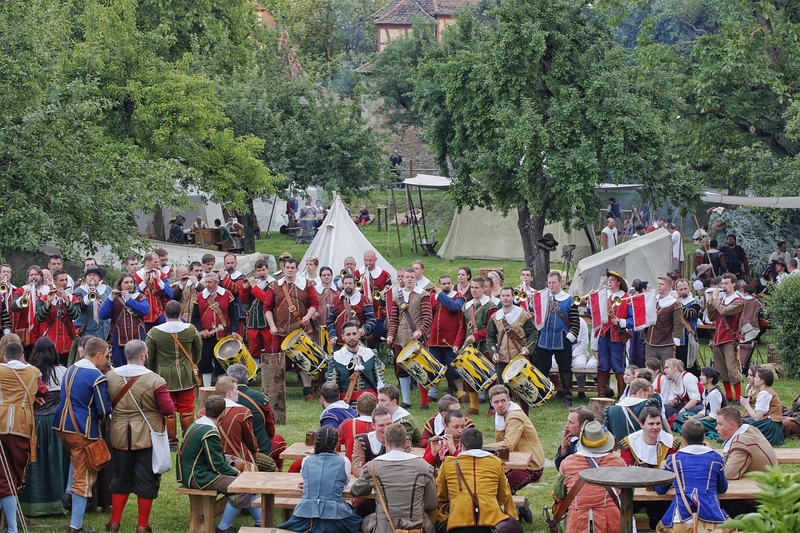 The Historical Meistertrunk Festival is found throughout the old city of Rothenburg ob der Tauber. The main locations are the Festwiese and Kaisersaal. What? 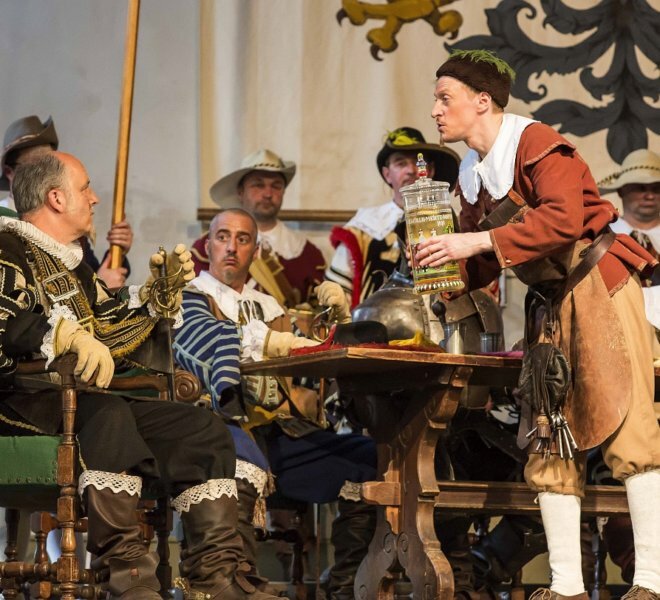 Immerse yourself in the days of yore: Each year on Pentecost weekend the festival retells a story from the Thirty Years’ War of when the city was conquered by the troops of General Tilly and only saved from destruction by the city mayor Nusch. It is said that Nusch impressed the enemy general by drinking 3 1/4 liters in one go. 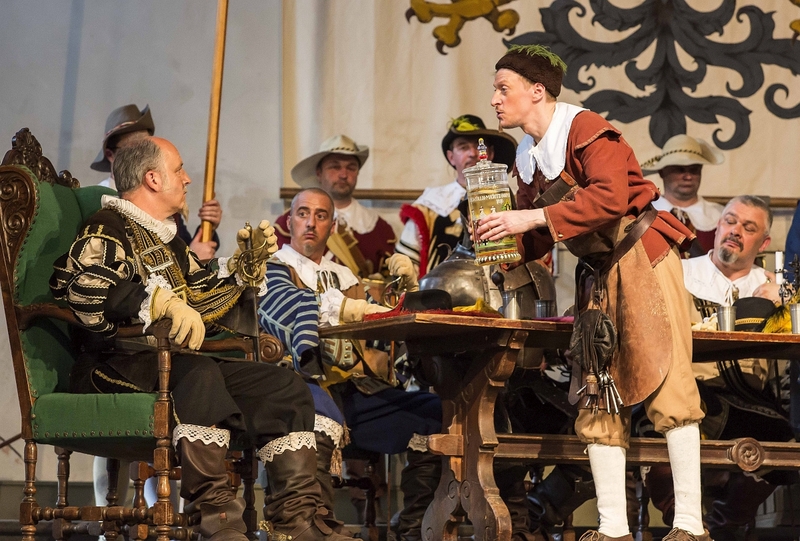 The story is retold by historical groups throughout the city and, in particular, in multiple theater performances in the Kaisersaal. 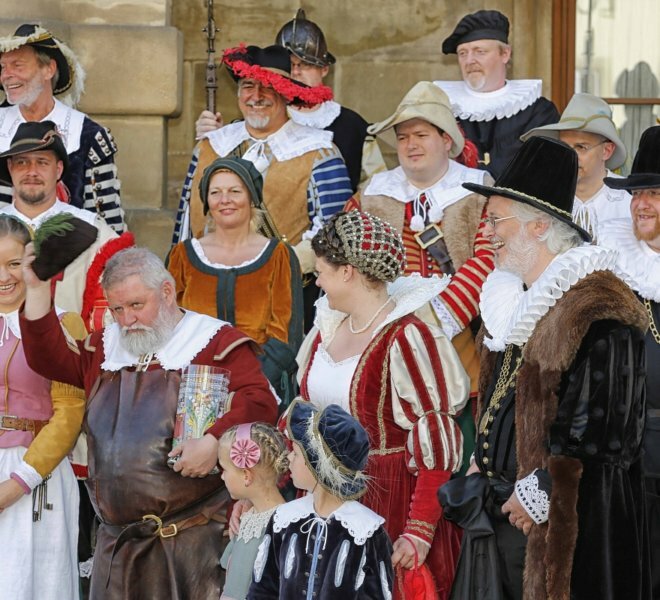 Fun fact: The festival was added to the UNESCO German list of Intangible Cultural Heritage in 2014. Don’t miss: The historical Shepherd’s Dance is performed twice over Pentecost weekend. The group Kurzweyl 1631 offers historical games for the whole family. The precise starting times can be found in the program. 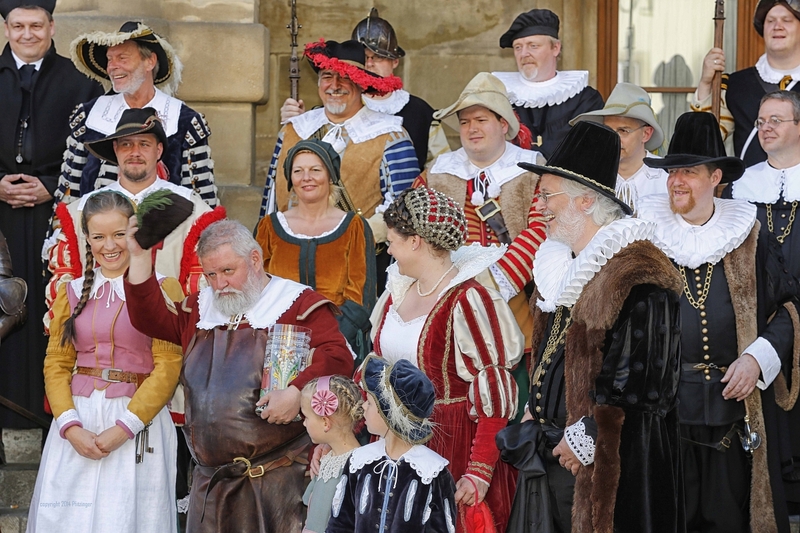 Prices: The 2019 price list will be published as soon as it has been received from the Der Meistertrunk historical festival association.